I am Pastor Jeniffer Rodríguez, originally from Santo Domingo, Dominican Republic and I am thrilled to be the pastor of First Presbyterian Church of Ossining, NY. I was called by God since I was a child but I did not pay to much attention until I came to the United States and started becoming involved at the church and through really deep and powerful experiences, I decided to attend to McCormick Theological Seminary, Chicago, IL, where I pursued a Master of Divinity. Prior to this degree I pursued a BA in communications from UNAPEC, a university in Dominican Dominica Republic. I love art in general and one of my passions is to draw, paint and sing. I understand art gives the opportunity to every human being to be connected with God, pray, reflect, and also a way you can be connected to the world. Among my favorite tendencies are impressionism, surrealism and cubism. I am also member and chaplain of the ecumenical choir Cántico Nuevo (New Song) where we spread the word of God at different places through music all over the world. I am married to Kyle Craig, a great husband and friend. He is passionate about books so you can guess what he does for living! He is a librarian! Both of us are really happy to be part of the Ossining community and looking forward to the opportunities God has for all of us. Saludos en el Nombre de Nuestro Señor Jesucristo! 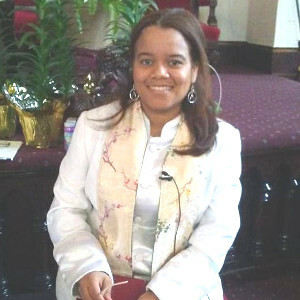 Soy la pastora Jeniffer Rodríguez, originaria de Santo Domingo, República Dominicana y estoy emocionada de ser la pastora de la Primera Iglesia Presbiteriana de Ossining, NY. Recibí el llamado de Dios desde que era pequeña pero no presté mucha atención hasta que llegué a los Estados Unidos y empecé a envolverme en la iglesia y a través de profundas y poderosas experiencias, decidí a asistir al Seminario Teológico McCormick, Chicago, IL, donde obtuve mi maestría en divinidades. Anteriormente a este grado, obtuve un BA en comunicaciones en UNAPEC, universidad en la República Dominicana. Amo el arte en general y una de mis pasiones es pintar, dibujar y cantar. Entiendo que el arte da oportunidades al ser humano de conectarse con Dios, orando, reflexionando y también como puedes conectarte con el mundo. Entre mis tendencias favoritas están el impresionismo, surrealismo y cubismo. También soy miembro y capellanía de la coral ecuménica Cántico Nuevo (New Song) donde llevamos la palabra de Dios a diferentes lugares a través de la música de diferentes partes del mundo. Estoy casada con Kyle Craig, un gran esposo y amigo. Mi esposo es apasionado de los libros por lo que pueden adivinar a lo que se dedica, ¡Es un Bibliotecario! Ambos estamos muy felices de ser parte de la comunidad de Ossining y esperamos con ansias las oportunidades que Dios tiene para todos nosotros. Lindsay is a life-long resident of Ossining. She graduated from Ossining High School in 2000. She and her husband, Christopher Wilkens, also a life-long Ossining resident, have been together for 20 years and married 7 years ago. They live in Ossining with their two daughters, Miranda, 4, and Kyla, 2. Janice, a mom of two children, and her family, have been living in Ossining for more than 25 years. With a background in designing educational textbooks, as well as years of teaching, we are thrilled to have her helping with the children in the church’s play area, with more to come in the future. She currently “wears a few hats”, so to speak. As a part-time staff graphic designer for the Ossining Public Library, she designs fliers, posters, banners, newsletters and web graphics for the library. 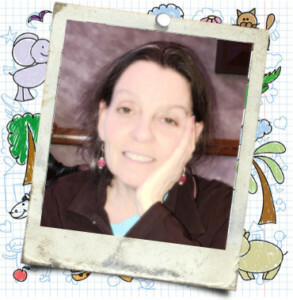 In addition to working there, Janice is a substitute teacher for the Ossining School District. This winter, she will again teach pickleball at the Ossining Recreation Center, (having spent many years as a part-time tennis and gymnastics teacher). Rob Holmes has worked as our sexton since 2001. He has been an Ossining resident for 35 years along with his wife Uycle. Together they have raised 3 children. Rob also currently works as a driver for Jawanio, a drop-in center for disabled adults which meets regularly in our Fellowship Hall. 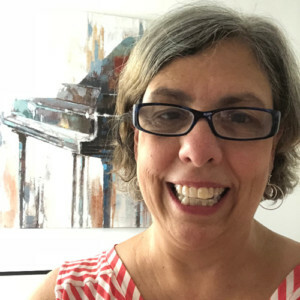 Carol Arrucci has a long history in music church programs since her first position as Musical Director at Holy Innocence Church in Pleasantville as a teen. She has worked as a professional church cantor and/or director of music ministries off and on for many churches, including St. Paul’s in Greenwich, Ct, North Baptist Church in Portchester, NY, and Trinity United Methodist Church in White Plains, NY, among others. She has served as a substitute for church musicians throughout Westchester for the past few years while opening her successful music school, The Cortlandt School of Performing Arts in two locations, Croton on Hudson and Mohegan Lake, currently upper Westchester’s largest music school with 25 teachers on staff and a resident opera company, Taconic Opera. Carol is an award winning, 30-year veteran music teacher. She retired from the Hendrick Hudson School District to give CSPA Music School her full-time attention. The award winning Blue Mountain Middle School choirs were her pride and joy. She has been passionate about training the voices of professional children and adults for over 25 years, having done so in the community and on Broadway. Besides teaching private voice and piano, she loves choral conducting, and has had many experiences conducting orchestras for musical theatre and Light Opera, accompanying vocalists and singing professionally. Carol’s ‘Dreamcoat Chorus’ was cast in the Broadway show “Joseph and the Amazing Technicolor Dreamcoat” which ran in NYC in 1993-1994. She has also produced shows for her own theatre group, Pleasantville Music Theatre, Inc, and at The Paramount Hudson Valley, Westchester Broadway Theatre and other local venues, serving also as Musical Director for fundraising events at The Peekskill Hudson Room, Westchester Broadway Theatre and her music school which also serves as a performance venue. Carol is delighted to serve as director of the music ministry at The First Presbyterian Church of Ossining, her hometown. She has produced the first community Ossining ChoirFest in the spring of 2018 , attended by choirs from other local churches and attended by the community. Through the years, she has had a long history of running theatre programs, a bell choir and substituting for music directors at this very church and this place and it’s congregation have always been a blessing in her life. She looks forward to growing the music program at FPCO.